Closed for Winter! 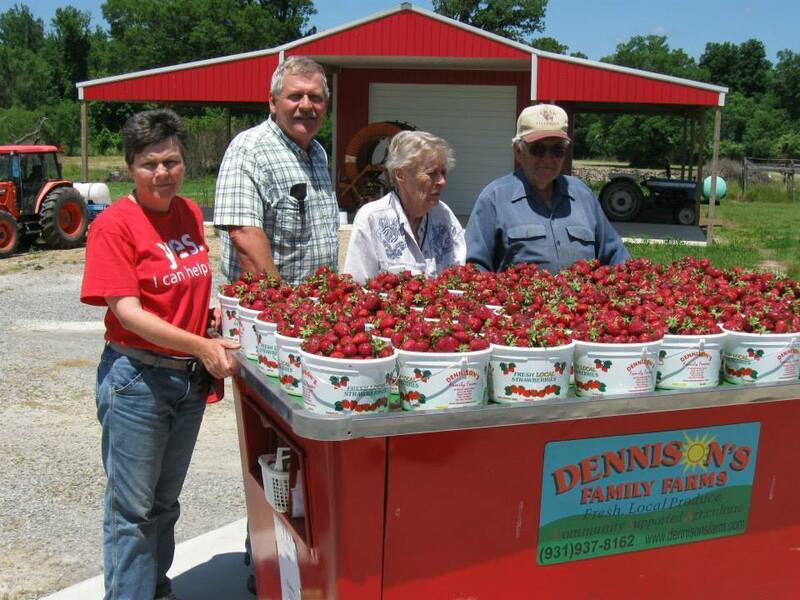 Strawberry Season will kick off in April. Check back for exact dates and locations. Thank you for visiting our web site! We hope it will provide you with all the information you need. If not, please offer your suggestions as to how we can improve it. After all, whether you visit us on the World Wide Web or at our farm, we want your visit to be an enjoyable one. Bookmark this site to check crop availability, if the farm is open, harvest conditions, etc. Please call our veggie line to find out what is available on our farm: 931-937-8162. Always call before coming, as everything changes quickly on a farm.